There are a lot of tea beverages in the market today and recently, Real Leaf Green Tea got my attention because of one distinct feature of the product – it uses honey as sweetener. 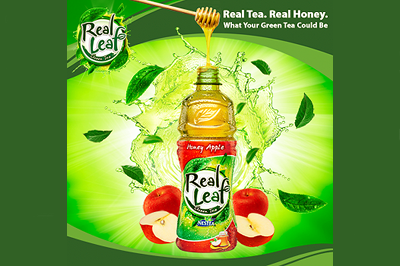 A product of Coca Cola Company, Real Leaf is a drink which promises to give you the health benefits of both green tea and honey – a one of a kind combination in today’s market. According to resources that I’ve read, honey has a low calorie level, making it an excellent substitute for sugar in drinks and food. It contains vitamins, minerals and amino acids that can help prevent seasonal allergies, not to mention a good source of antioxidants. Anyway, Real Leaf Green Tea currently has three flavors – Honey Apple, Honey Lemon and Honey Lychee. Among the three, I like the Honey Apple the best. I am a marketing instructor and I found real leaf better than other existing tea drink in the market. Nice post!